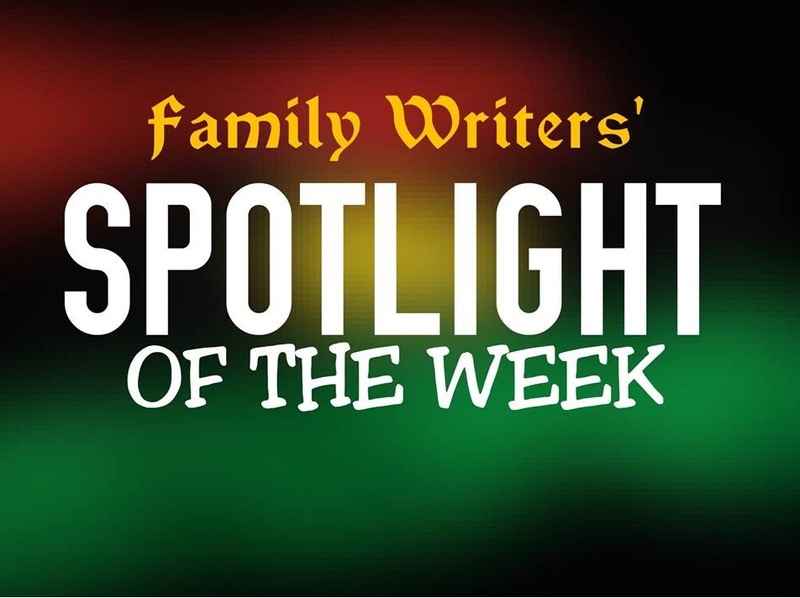 As we welcome you to this wonderful edition of Spotlight of the week from Family Writers press. ¬ First on Spotlight desk this week is the speech of a Nigerian senator, Senator Abubakar Idris Yusuf Girei which caused mixed reaction during the week. He said: "You cannot be talking about Biafra and then be aspiring for the presidential seat of Nigeria". In response, Biafrans said: "Biafra is all we want; those aspiring or talking about being president of Nigeria are on their own, not for Biafrans". Hope he and others heard it Loud and clear. ¬"You won't achieve your aim in my lifetime" Nigeria chief of Army, Tukur Buratai tells Biafra agitators. "Prepare to join your ancestors because we must restore Biafra"- Biafrans replies Buratai. Hmm, The reply is clean and clear but if he didn't understand it, let him ask questions about those who killed and fought against Biafrans. EFCC’s over-reliance on investigation by maltreating for confession. ¬ Through the airwaves of Spotlight, we were also taken to Ile-Ife in Yoruba land where a bloody clash erupted between Hausa and Yoruba. In the communal clash, more than 10 people died, houses burnt and several others sustained serious injuries. Hmm, Surprise? Well, we reserve our speech. ¬ Biafra: Inter Society hits hard on the Nigeria government again. "Nigeria government a Murderous, Sadist and Lawless To Amnesty International Report" Inter Society Opens Up again base on Amnesty International's report of human rights abuses and killings by the Nigeria government. ¬ "Ojukwu would have fought a second war against Nigeria, for holding Nnamdi Kanu too long in detention" according to MASSOB. ¬ The press release: "Mr. Willie Obiano and his alcoholic-induced statements against IPOB" -IPOB blasts Willie Obiano after he made some statements against IPOB. 'BIAFRA: Retrace your steps now or be ready to face the wrath of our ancestors and the God of our land'. That's an open later to the government of Anambra state, Willie Obiano. ¬ "President Buhari is back, no it's not Buhari but a clone" etc, that's the talk of the week when the 10am-like bright pictures and videos of the alleged arrival of Muhammadu Buhari by 4am in Kaduna flooded the media. After the noise, "Osinbajo will continue as acting president, Buhari said he'll go back to vacation" that's according to the presidency. With our Spotlight camera, we are STILL WATCHING. ¬ "I don't understand Obasanjo, Buhari". -Soyinka laments on Biafra and restructuring. On same hand, "We don't want restructuring, all we need is Biafra" Biafrans tells Nigeria and those calling for restructuring. Still on the restoration of Biafra: IPOB warns S'East and S'South politicians, traditional rulers against sabotage. Good, Obedience is better that sacrifice and regret. called on the Ministry of education and the Nigeria government. Hmm, Islamic Agenda and the longtime quest to Islamize Nigeria, still in progress. ¬ In the process of exposing what Nigeria and the world is hiding; Biafra Genocide Exhibition organized by IPOB, kicks off in Spain. ¬ US Activist Writes DSS director and Chief Justice of Nigeria over continued incarceration of Family Writers' correspondent, Moses Agbo who was illegally abducted in 2015 by the Nigeria SSS known as DSS. ¬ After the closure of Abuja airlines for Kaduna, foreign Airlines Reject Kaduna Airport. Only one foreign airline has so far agreed to use the Kaduna route. "They want their Boko Haram terrorists to kill us and foreigners, that's why they closed down Abuja for air travelers to use Kaduna route" travelers lament. ¬ During the week, Spotlight plane landed in ECOWAS court Abuja where the Court Dismisses Nigerian Govt’s Objection on Nnamdi Kanu's suit. The court insists it has powers to hear the suit and the presiding judge however adjourned its ruling on the lawsuit filed by Nnamdi Kanu to April 27, 2017. Though there were mixed reactions and questions on the adjournment of its ruling but the fact remains that Nnamdi Kanu is winning the case. Still on ECOWAS court and Nnamdi Kanu's case; on regards to regular adjournments and delay of its final ruling, Family Writers to IPOB Directorate- 'It's time to declare ECOWAS incompetent and compromised before the world'. ¬ "Security agents and prison authorities through the prison wardens are planning to eliminate our son, His life is in danger". Nnamdi Kanu's family petitions US and EU. - Biafra: IPOB Enugu takes the gospel of Biafra to Udi Council of Enugu Biafraland. - RESPONDING TO THE QUESTION- "WHAT DO BIAFRANS REALLY WANT". - Letter to my Niger Delta Brothers: Relocation Of Oil Companies To Nigeria Delta Is a Fraud. - BIAFRA: IPOB FAMILY OBIGBO MARKET ZONE CONDUCTS SPECIAL MONTHLY PRAYER FOR BIAFRA AND NNAMDI KANU. - FAMILY WRITERS visit to General Phillip Effiong's Family and tomb. - Promises And Activities Of Yemi Osinbajo in BiafraLand Are Deceits To Divert Focus From Restoration Of Biafra. - THE NON-NEGOTIABLE DEMAND FOR THE SOVEREIGN STATE OF BIAFRA. Be, just register with us today. Leaders and top 5 celebrities in the world. If you are interested Contact Now + 2349054335631 Or send your email to [email protected] to start immediately. Registration of new members is now open online. If you're lucky enough to read this, be rest assured that your life is in for a major upgrade and turn around that will leave your peers, colleagues, and family members astounded and amazed by your incredible success story. Ladies and gents I present to you the genuine ILLUMINATI BROTHERHOOD. If you're fed up with the current situation in your life and are prepared to take a major leap of faith with us I assure you that you will not be disappointed. Kindly contact: whatsapp or call our agent on mobile +(234)8147766277 or email us directly on [email protected] for more info on how to join directly and easily with no hassles. Remember the greatest risk in life is to never take a risk. Join today and meet up with your financial expectations. DO YOU WANT POWER AND FAME? DO YOU WANT TO BE YOUNG FOREVER? DO YOU AND TO COMMAND AND PEOPLE WILL OBEY YOU? DO YOU WANT TO BE A POLITICIAN? DO YOU WANT TO BE CELEBRITY? DO YOU WANT PROMOTION OR LOOKING FOR INVESTMENT HELP FUNDS? Qatar,Luxembourg,Singapore,Kuwait,Brunei Darussalam,United Arab Emirates,Norway,United States,Saudi Arabia,Ireland,Netherlands,Austria,Germany,Australia,Denmark,Bahrain,Sweden,Canada,Iceland,Belgium,Finland,United Kingdom France,Oman. Whats-app +(234) 9051208634 now and say yes to your dreams.